This is from our last trip to Disney in Florida when we went in October for their Halloween night time trick-or-treating fun. 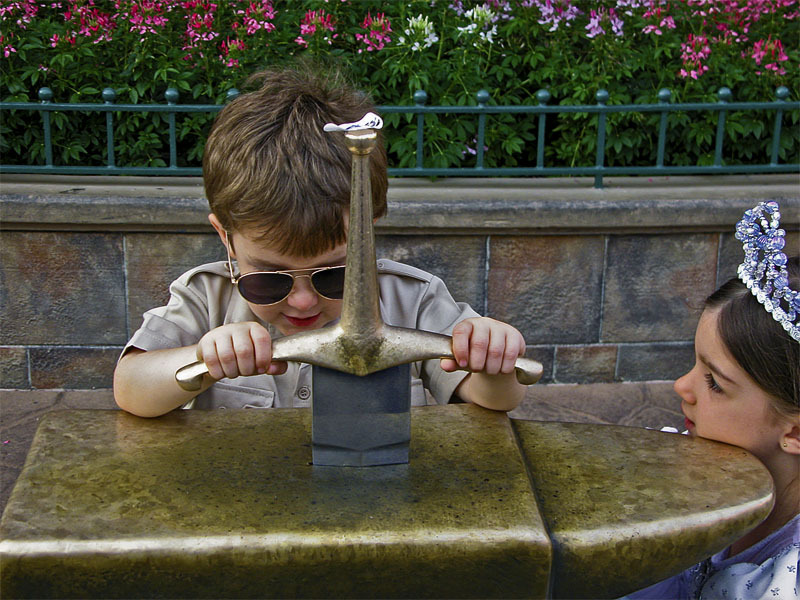 My son (3 at the time) was positive he would be able to pull the sword from the stone. I bet they both thought he would do it,oh to have that type of beliefs now:)How did you console him Michael or didn't he require any.You can feel his concentration & his sisters belief that her brother can do this.